Sideyard gates must be attractive and wide enough to allow the movement of equipment and bikes in and out without pressure on the gate posts. 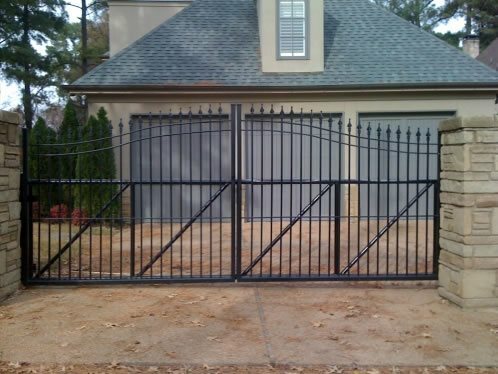 Tubular wrought iron can be customized to create a much wider gate for driveway security. The heavy gauge steel reinforcement on the bottom half ensures this all metal gate remains square and swings easily without sag. The beauty and elegance of wrought iron allows a clear view of your home from the street while maintaining complete security. This double gate opens to allow a lawn tractor through, or only one side may be used on a daily basis. When closed the slat pattern remains continuous so that this gate blends in when not in use. Here attractive hinges and a barred window are used to create a more rustic, custom look. This gate was designed to fit perfectly with the style of architecture for a highly detailed transparent barrier that is equally attractive when viewed from the garden looking outward. 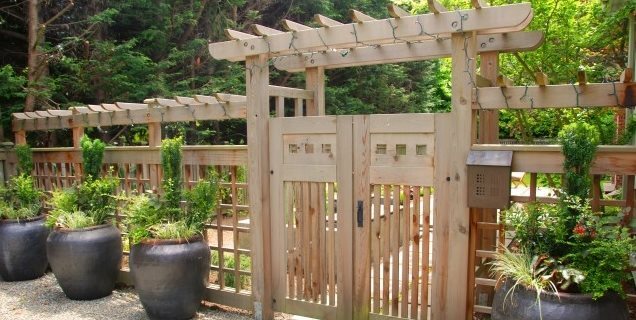 Wooden gates can be customized with openings, hardware and pergolas. A bi-parting gate will make the entrance to your home seem more grand. 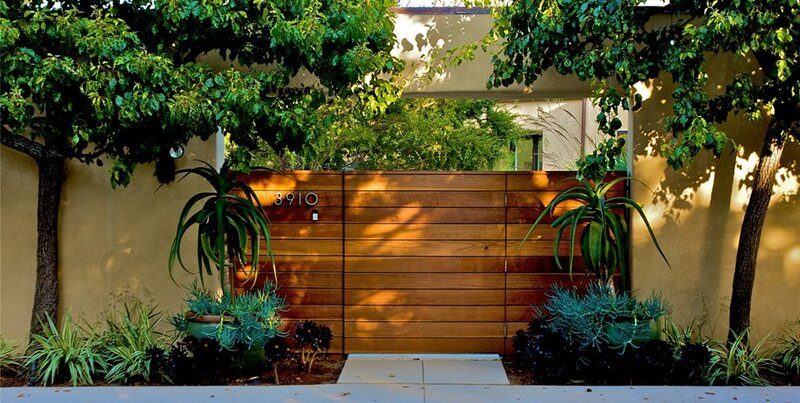 This modern gate was made using horizontal boards of redwood. 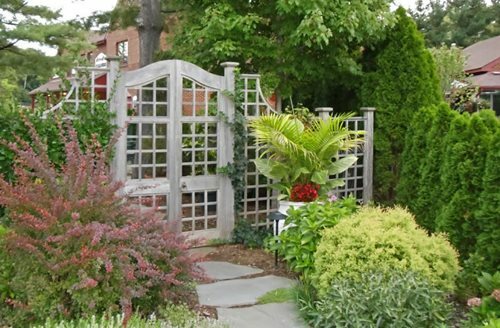 A gate welcomes guests into your garden or home. You'll need a gate wherever a fence or wall intersects a driveway or path. 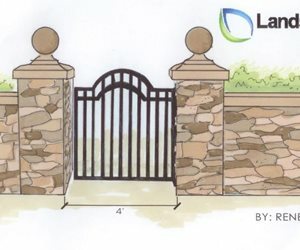 The most common garden gates are driveway gates, side yard gates and front entry gates. When it comes to the look of your gate the options are nearly limitless. 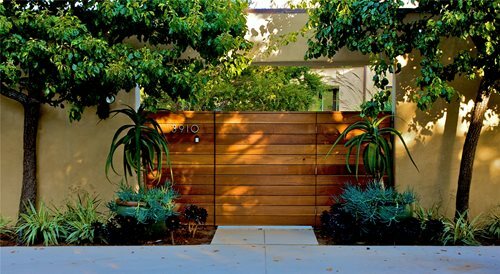 Your gate can be simple or ornate, large or small, open or solid, wood or iron. 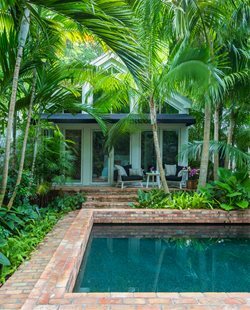 Side yard and front entry gates, sometimes referred to as pedestrian gates, allow people to access the backyard or entryway. A pedestrian gate should be a minimum of 36 inches wide. Most pedestrian gates are single gates; however, if you prefer the look of a double gate this is also a possibility. A double pedestrian gate looks great for a front entry. This type of gate should swing inwards and usher guests into your garden. 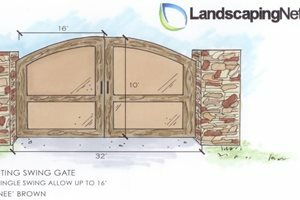 A drawing showing the standard dimensions for a garden gate. 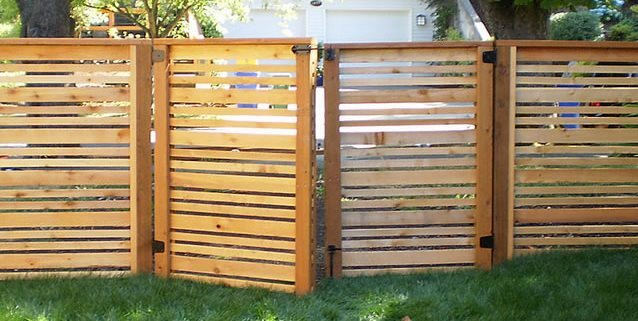 Chad Hoover of Hoover Fence details the pros and cons of wood gates and why they are often left to the professionals. "When considering wood gates and their biggest cause for failure, I would suggest most problems stem directly from the materials used. Wood by nature is a soft product which expands, contracts, and only becomes softer in time. Therefore wood fasteners used on hinges and latches lose their grip. Wood is also heavy and building a quality wood-framed gate (as opposed to steel-framed gate) is a skill, not common amongst average homeowners. 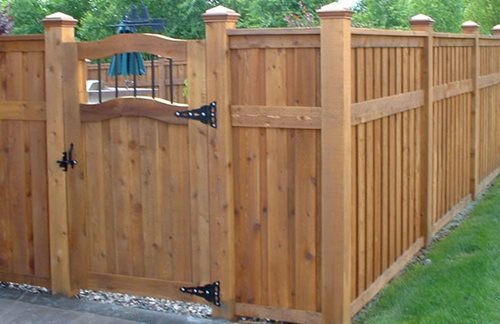 Average homeowners would be best to order a 'steel framed gate kit' and mount their own matching fence boards to it to save the burden and frustration of attempting to build their own gate. A wood frame, built properly, would have the wood members 'ship-lapped' together with quality galvanized washers and bolts. 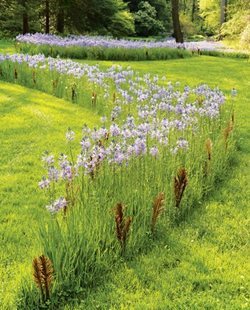 They are time-consuming to build properly and usually require more professional tools than found in most homeowners' garages." The advent of technology for residential gates and driveway gates has spawned a whole new area of accessories. According to Chad, these are a growing part of the Hoover Fence product line. 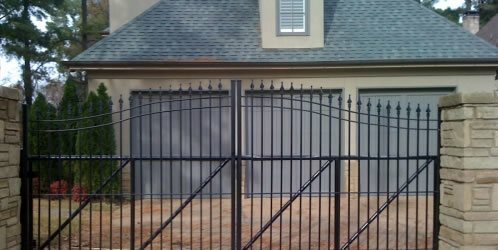 "There can be many options when considering an all new installation of a gate, gate posts, and gate automation equipment. Our system designers are also being asked more and more questions regarding lighting near gates, cameras, and other home automation equipment. Each project is different and these requests are usually best dealt with on and one-on-one basis." The advent of solar powered systems makes it possible for automated gates far from a junction box. "There often is no difference in the actual gate operator whether solar powered, or not. To clarify, most standard gate operators may be hard wired to power, or solar powered. The 'value' of a solar powered gate operator is often easy to quantify these days. We have geographic maps with solar power requirements readily available on our website to carefully review and determine if $200-1000 worth of solar panels are cost-effective compared to running electric. Predominantly, customers will find hard-wiring gate operators to be the most practical installation for reliable power supply. Exceptions may be southern and southwestern locations. If there is already a good working residential single driveway gate in place, we may have a complete do-it-yourself kit available for as low as $400!" says Hoover. "Security of residential areas and commercial areas has become a high priority for property owners. 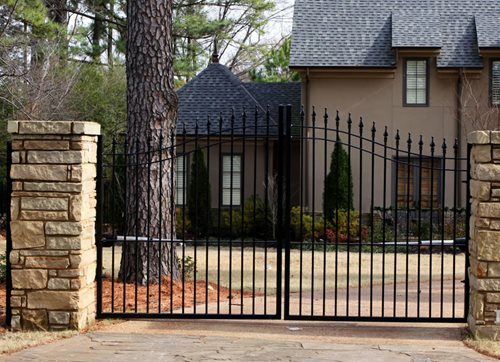 We offer a large selection of cost effective hardware and equipment to simply secure pedestrian and driveway gates. Start with high quality hardware which positively locks gates, doors, and windows. It's like the old clichÃ©, "Keep the honest - honest", then get more elaborate after the simple items are secured. We also carry cameras and intercoms which are predominantly used with our automated gates." Your home's gates have a lot to do with curb appeal and people's first impression of your property. In order to create the best effect, keep these rules in mind. 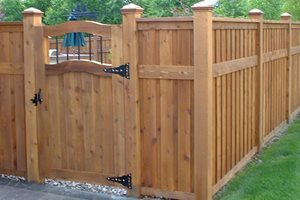 First, the height of a gate should relate to the height of your fence or wall. Making your gate too tall or too short will cause it to seem out of proportion in comparison. Second, always use quality hardware. Durable and attractive gate hinges and latches will increase the appeal and lifetime of a gate. 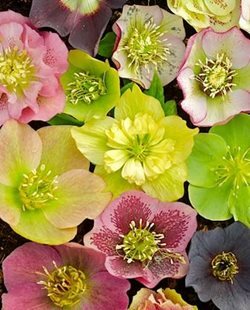 Third, consider adding a pop of color to your gate. Painting your gate a warm inviting color will catch people's eye and make them feel welcome. Finally, for safety reasons avoid putting a gate at the bottom of steps. A gate should always be at the top of stairs and open away from the steps. Wrought iron is one of the most popular ornamental gate types. It provides a classic old-world feel that is unmatched. 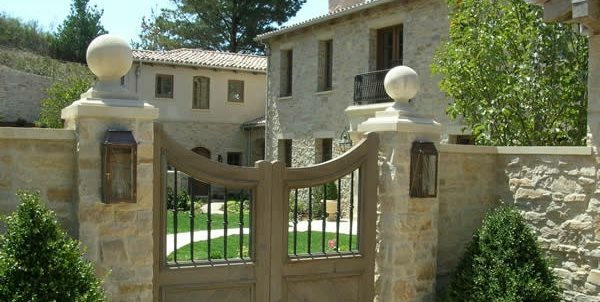 Custom wrought-iron gates can be created with intricate designs and patterns. Some gates are designed to look like trees, leaves or plants, while others may feature a family name or initial, and still others have animals worked into the design. 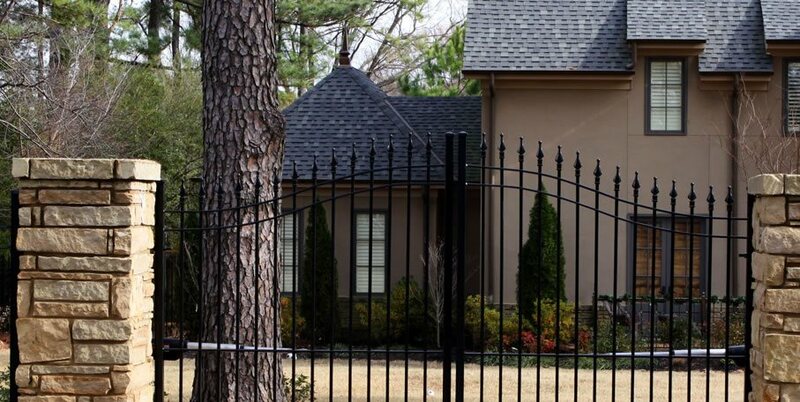 A wrought iron gate is very durable and weather resistant. Many modern wrought iron gates are actually not wrought iron at all, but powder coated steel made in the traditional wrought iron style. 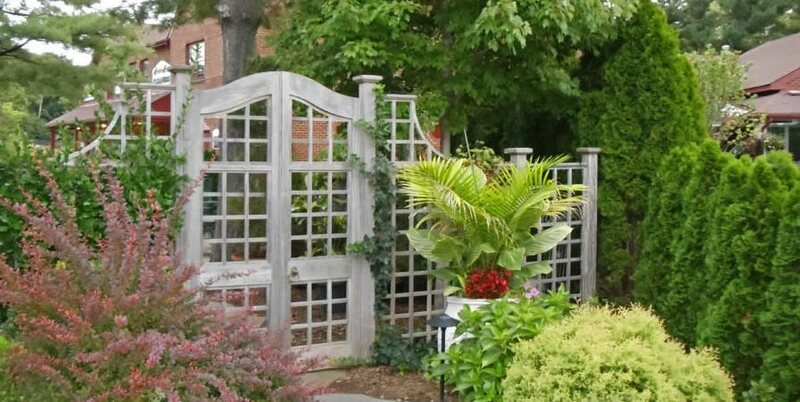 A wooden gate will provide a relaxed and welcoming entrance to any garden. 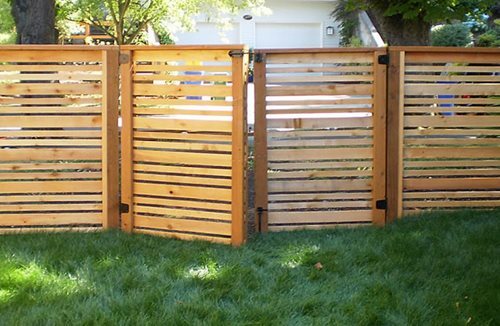 Wooden gates can have a solid design if you are concerned with privacy, or an open, picket like style. The top of a wooden gate can be curved, scalloped or even lattice. A coat of paint or stain can transform a wooden gate into an artistic doorway into the landscape beyond. Much like a door, a gate built of wood can have a window, a handle and even a deadbolt if you like. 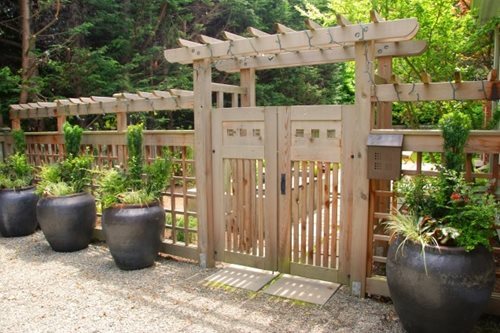 If opting for a wooden gate, be sure to select a wood type that is well suited for the outdoors. Certain types of wood are more susceptible to weather and insect damage than others. 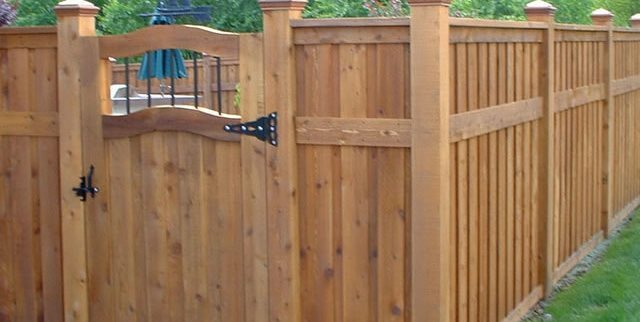 Popular types of wood for outdoor gates include Western Red Cedar, pressure treated wood and redwood. However, even when you select the right type of lumber, a wooden fence will likely require painting, sanding or staining at least every other year. The best thing about a vinyl gate is that it requires very little maintenance. A vinyl gate will not rust or rot and will likely last much longer than wood or metal. Vinyl gates typical come in light colors, white and beige being the most common. With vinyl you'll be able to choose from a variety of styles such as a picket gate, a privacy gate or a lattice gate. 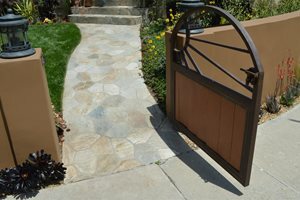 There are a variety of options when it comes to customizing a garden gate. One idea is to install a pergola or arbor over the gate with climbing plants growing up it. Additionally, windows can be incorporated into your fence. High windows are perfect for people to look in or out, while low windows can be installed for pets. Finally, you can install an automatic entry system for driveway gates. Such a system can be operated by remote, keypad, intercom, telephone or sensors depending on your preference.